Non-volunteer guests are $15 per person payable online or at checkin. 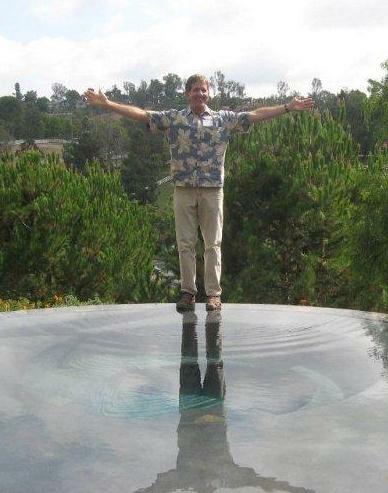 This year's Volunteer Appreciation Party is Breakfast in the Garden party at the home of Mary McBride in Vista. A longtime vendor at our monthly meetings, Mary is a retired Master Gardener who has operated her own specialty nursery for many years. She specializes in flowering bulbs from around the world that are uniquely suited to our climate, including lots of drought tolerant varieties. 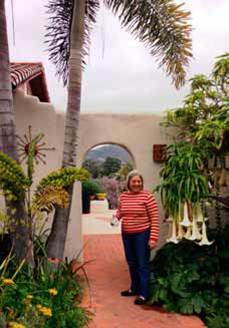 Her gardens reflect those long-term relationships with some of North County’s favorite nurseries, along with her delightful sense of whimsy and her skills as a horticulturist. There are specimen ornamental trees that rival the best at well-known public gardens. There’s an eclectic assortment of shrubs and flowers galore from layered bulb plantings that pretty much bloom all year. It is all too good to miss and we hope you've volunteered in the past year so you will be invited. There will be a delicious breakfast, lots of great door prizes and good company, guaranteed. The Party is for free for volunteers in the past 12 months. If you have participated as SDHS volunteer since October 2014 and do not receive an email invitation, please email the Volunteer Coordinator. The address of the party is emailed in the registration confirmation email.